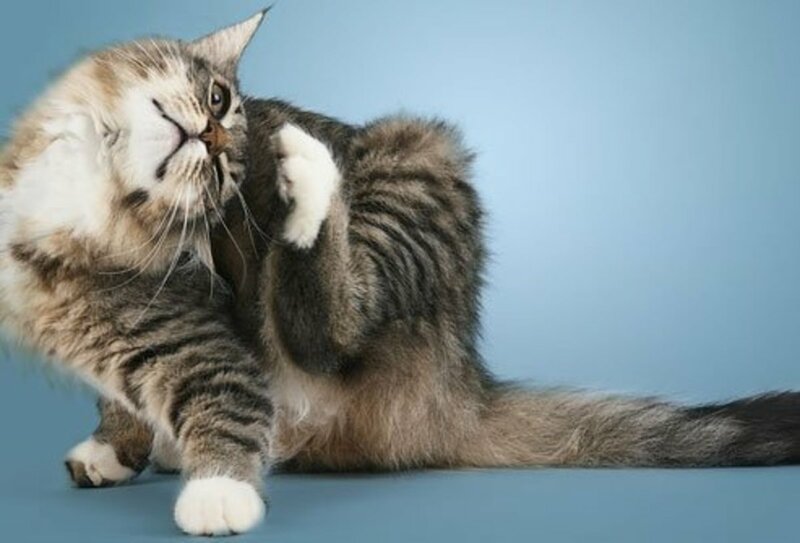 Cats are natural groomers, so they are typically pretty clean and have clean fur and skin, but sometimes they need a little help in keeping their skin and coat healthy because they are susceptible to skin infections, parasites, allergies, and other common health conditions that can really drive your cat nuts. A simple food allergy can have your cat scratching and licking compulsively until he licks himself an infection, and you don't want that. 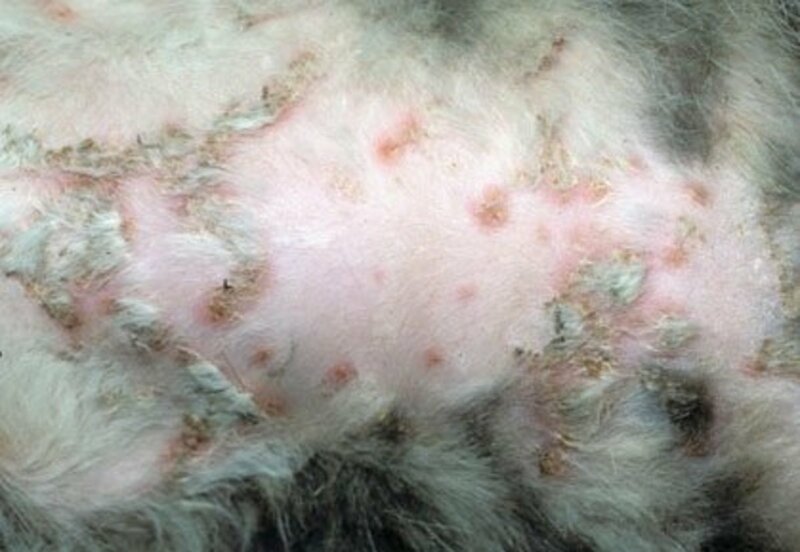 Below, you'll find the more common skin conditions that may haunt your cat. Just remember to keep an eye on your cat if you notice any abnormal grooming habits, changes in temperament, or changes in behavior. Also, keep a close eye on your cat, if he's allowed to time outside or around other animals. Cats can contract illnesses from outside in the yard, from dogs, and other cats, easier than you would think. One cat, kept inside at all times around not other animals, is probably less likely to contracting a skin condition than a well socialized cat with outside privileges. That is not to say that you have to change your cat's lifestyle, but it just means that you should keep a closer eye on your cat's health if he's allowed outside and/or around other animals. You'll generally find small pimples around your cat's chin. It's generally caused by stress, poor grooming, allergic reaction, or an underlying skin condition. 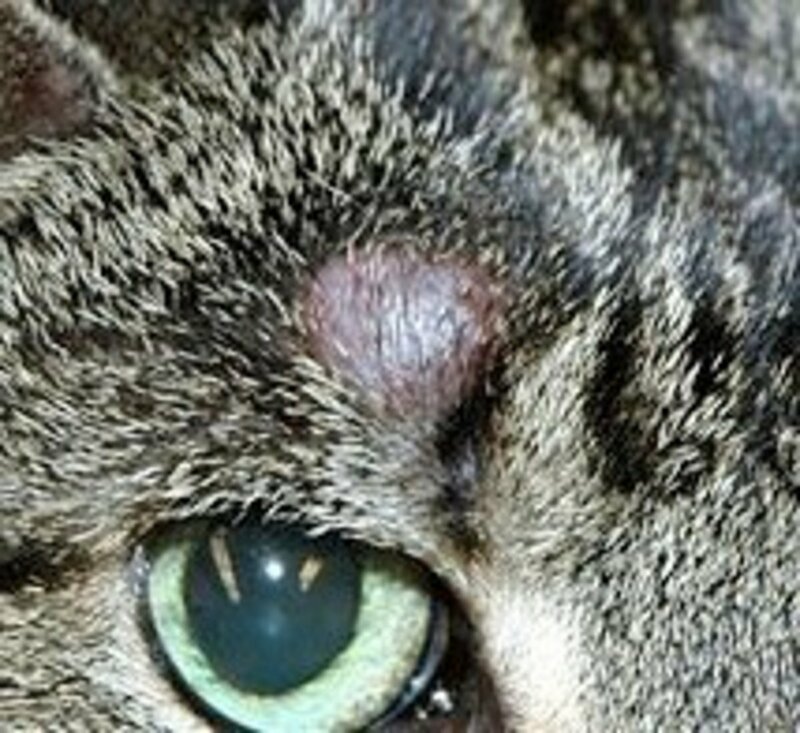 Cat pimples can be treated with a medicated shampoo or gel; if the cat has a bacterial infection causing the acne, antibiotics may be prescribed. In most cases, bacterial skin infections are caused by another skin problem where the hair follicles have been irritated. Generally the infection is treated with an antibiotic, and depending on what the other skin problem is, treatment may call for more medication, a medicated shampoo, or something else. A feline yeast infection is caused by fungus or another medical problem. You will find that the most common place for a yeast infection in a cat will be in the ear; you'll see black or yellow discharge, redness on the ear flap, and persistent scratching. An anti-fungal medication will typically be prescribed. Ringworm is pretty common among cats; it's a type of fungus that most commonly affects cats and kittens under a year old. You'll see circular lesions on the cat's head, ears, and forelimbs that are often flaky and bald. Treatment will either consist of a shampoo, ointment, or oral medication. You'll notice hard skin lesions tat may drain. If your cat has the fungus, you'll want to get the cat treated ASAP because sporotrichosis is considered a public health concern. A simple allergic reaction to grooming products such as shampoos, food, pollen, dust, fleas, or another environmental irritant can easily cause your cat to have a skin reaction. You'll notice scratching and chewing his paws, ears, or the base of the tail. Treatment is generally a medicated shampoo and removal of the irritant. You want to see your veterinarian as soon as possible if your cat starts losing large amounts of hair because it can be a sign of another serious illness, fleas, stress, allergy, or improper diet and nutrition. Fleas are very common among cats and dogs who spend time outside. It's best to keep your cat treated for fleas and ticks. A flea infestation is bad for your cat as well as other animals and people in the home. Fleas can cause other health problems for your cat, so you want to prevent them as best as you can using monthly flea and tick prevention. Ear mites are small parasites that hang out in the the ear. You can identify ear mites by the appearance of coffee grinds in your cats ear, strong odor, head shaking, excessive scratching of the ears, and the ear discharge. 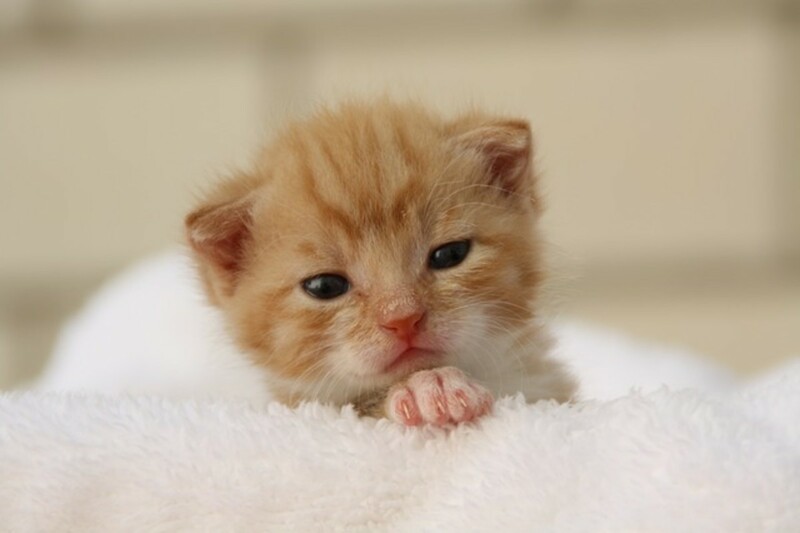 You want to get your cat treated for the mites, which will usually consist of a topical product from your vet. 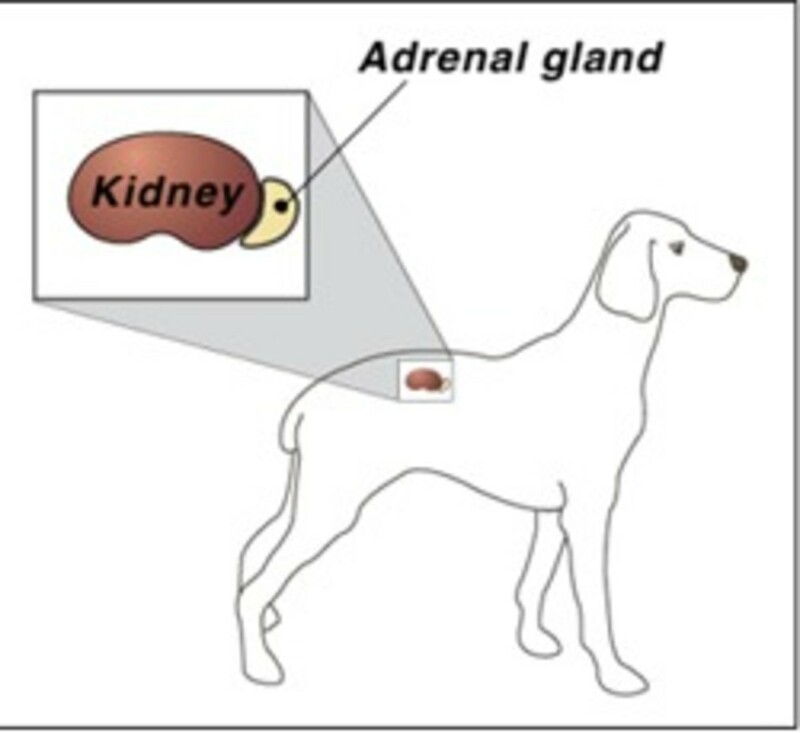 Tail gland hyperplasia, or stud tail, basically refers to overactive glands that are on the top of the tail, which produce waxy excretions, causing hair loss and crusty lesions. In more severe cases, stud tail can lead to a bacterial infection. 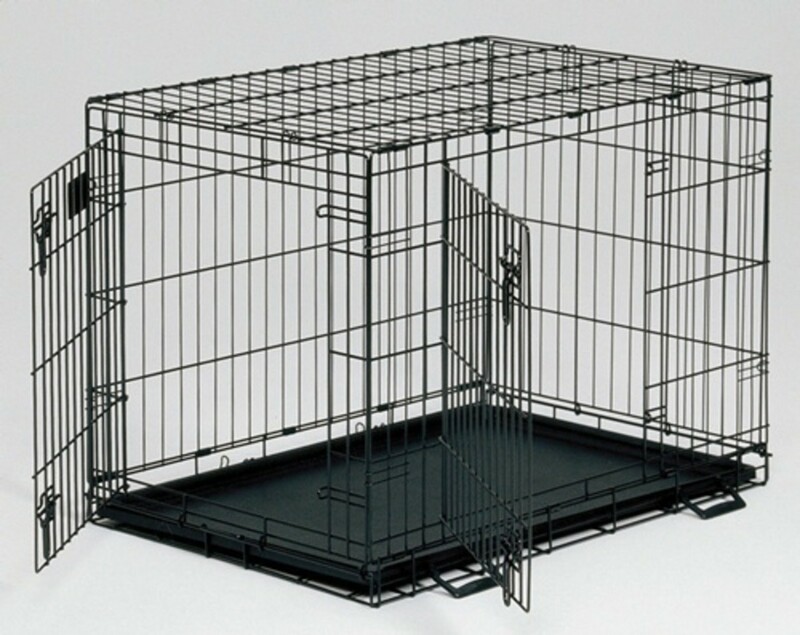 Neutering can potentially eliminate the problem altogether. Other treatments may include medicated shampoos and very diligent grooming. Ulcers on the nose or lips is probably caused by this particular allergic reaction. Although, eosinophilic granuloma can appear anywhere on the body, it's most common to the face, toe pads, and thighs. Bacterial infection, fleas, or a food allergy will be your most common causes, and depending on the cause, the treatment will vary. 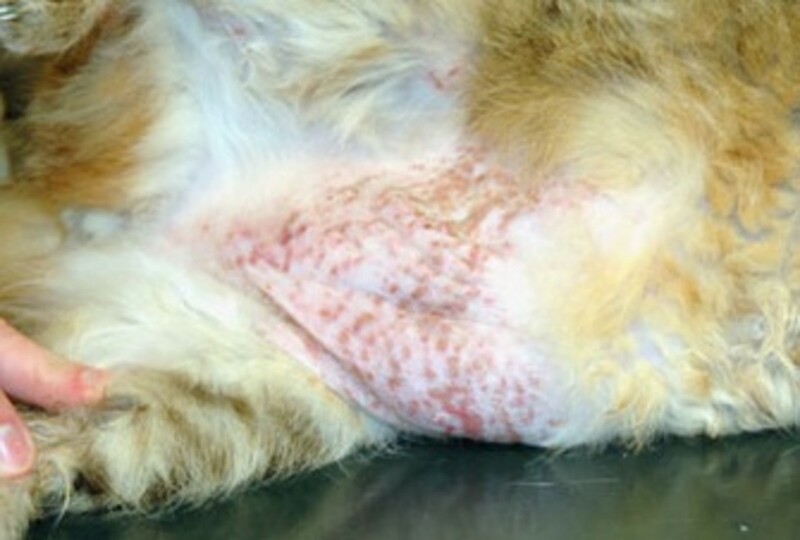 Lumps are not always cancerous, so if your cat has a lump, calmly call your vet and make an appointment to be seen. You'll find that older cats and cats with white ears and heads are prone to skin cancer, but you'll need a biopsy to 100% confirm. 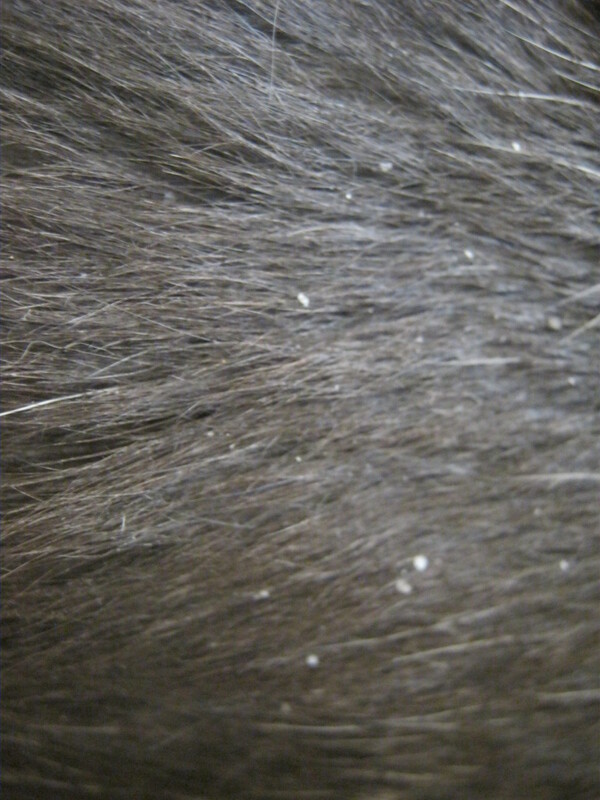 Dandruff can be a sign of poor nutrition, inadequate grooming, or some other health problem. In most cases, it's nothing to be alarmed about, but if it persists, you'll want to consult your veterinarian, as he may be able to prescribe a medicated shampoo, supplement, or another medication for any underlying illnesses. Cats are generally very clean animals because they are prone to grooming themselves, but sometimes they can overdo it. 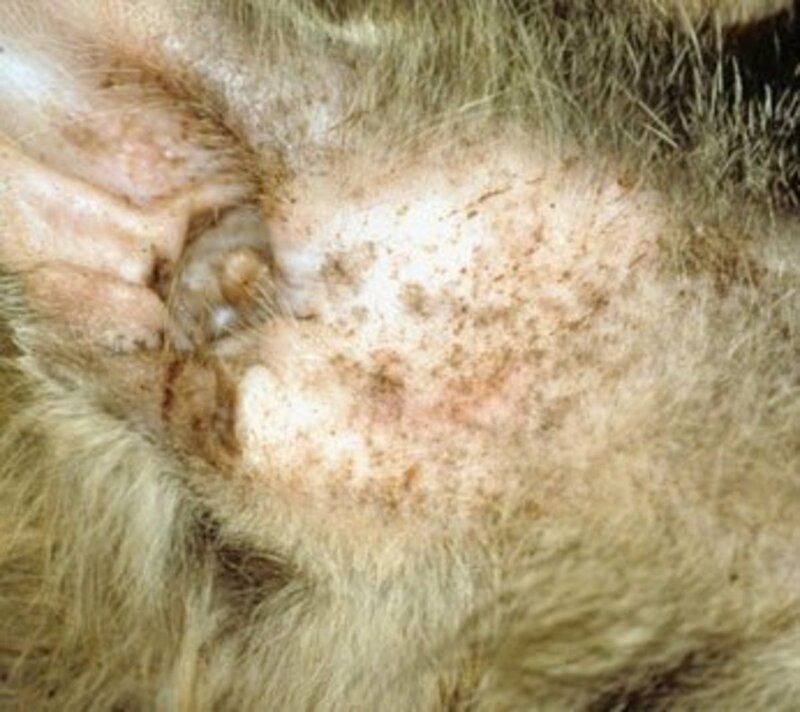 Compulsive grooming is seen by licking, chewing, or sucking on the skin constantly, causing skin irritation and thinning hair, which can sometimes cause an infection. You want to figure out what's causing the compulsive grooming so that you can reduce stress or figure a behavior modification strategy. Disclaimer: Please be aware that the advice in this article should in no way replace that of a licensed veterinarian. Consult a veterinarian if you notice any flaking, scales, redness, or bald patches in your cat's fur, or excessive licking, biting, or scratching in your cat so that you can have him checked out, diagnosed, and treated. I have a kitten he is about a month now. he has flaky spots (no mucus or puss)and hair loss what can it be caused from. I am thinking its from pesticide allergy. can you please help me. my cat kept gnawing at her back until the fur disappeared. It looks a little red. I put peroxide on it. she doesn't seem to be scratching it any more. Very good information. It is always good to have a place to look when something goes wrong. Thanks for sharing. What a great article. Well written and informative. I have two cats and they are haven't had any problems with skin disorders. But I know where to look if they do. Her paws may just be irritated. Her paws are fine. I can hold them and she can paw me with them. It's just her back makes her react if you touch it and she starts cleaning her paws. If you touch her paws nothing happens. You could have a vet look at it. The paws could be irritated. I think my cat Tiggy has Allergic Dermatitis having looked through all the symptoms you have listed. There is a part on her back that appears to cause the problem. If I touch it it causes her to start licking and chewing her paws, which doesn't make much sense as they are nowhere near it. She also tries to reach it with her paw but cannot because of where it is on her back. Her coat looks fine and I cannot see any problems in her skin. She had this problem last year for a while too but this time it is bothering her more. I am wondering if dust from the Sahara could cause this. We have had several calimas here and everything is exposed to the dust. Some people with chest problems on the island react badly to this dust. In every other way she seems in perfect health. Well researched hub but your photos of cats with various skin conditions are so realistic they should not be viewed before eating. That's eating dinner, not cats. 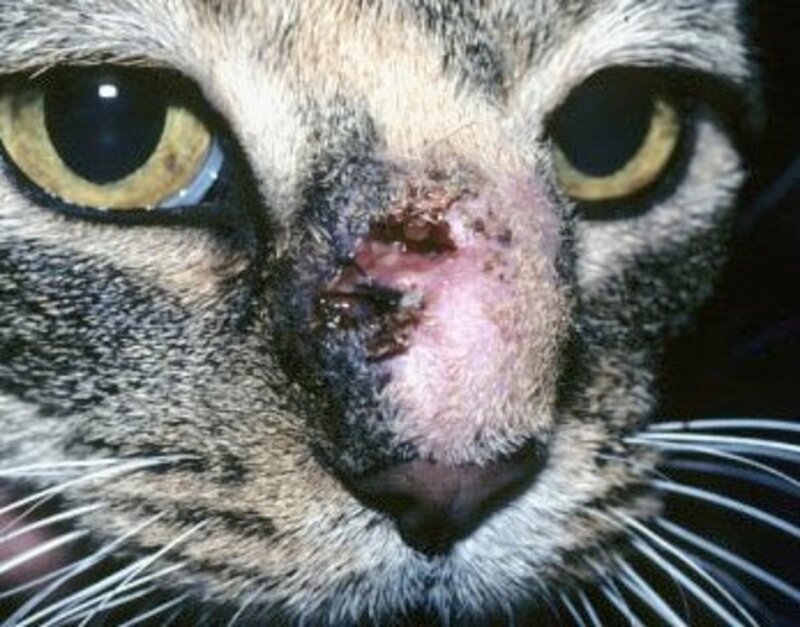 Inside cats can also suffer skin conditions. 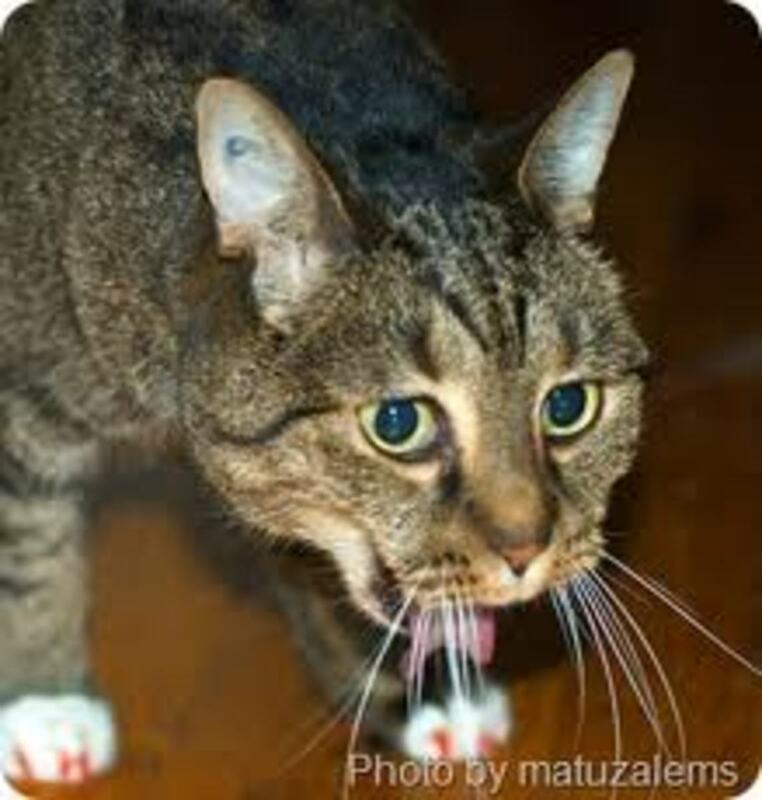 In most cases, though, skin conditions can just be more common on cats who spend time outside. Whitney, This was a very informative hub. I'm a cat lover but he doesn't go outside. Thanks.